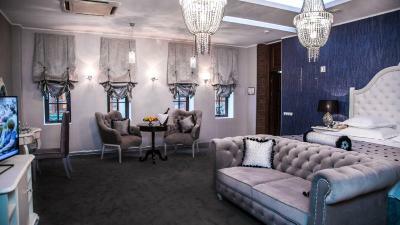 Lock in a great price for Author Boutique Hotel (ex Golden Garden Boutique Hotel) – rated 8.9 by recent guests! The location was superb for walking and closest metro station was in the viewing distance. Staff was professional, flexible and kind. Room was very big and the hot tub in the bathroom was a big plus. Breakfast was good with local food options. Would definitely recommend for a business or holiday travel. The staff was nice and helpful, especially the guys in the restaurant. The building itself is a bit old and used, but it has a very interesting lobby area: next to the reception there are some comfortable sofas, a bar, and some shops - along with an artifical waterfall. I would highlight the quality of the food in the restaurant. We tried plenty of things, all of them has been excellent! 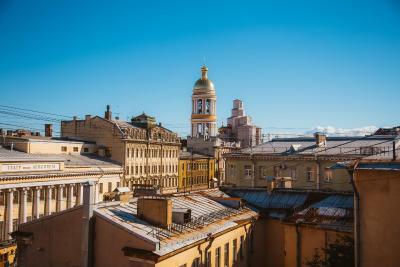 The hotel is in a walking distance from some of the most popular places in St Petersburg. They upgraded my room and I ended up experience amazing room that was totally worth the money and loved the service and also got surpriced with some complimentary things. 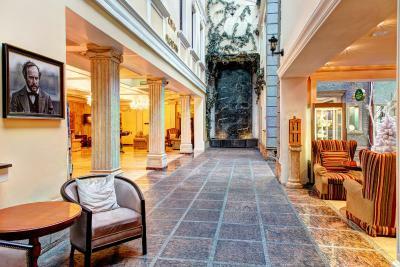 Next time we will visit St. Petersburg as a couple and for sure I will bring us to this exact hotel. 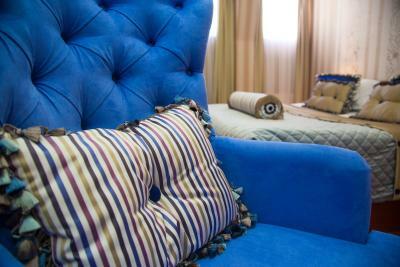 Because of staff, breakfast, bed, bath, the hotel design itself - at least in junior suite. 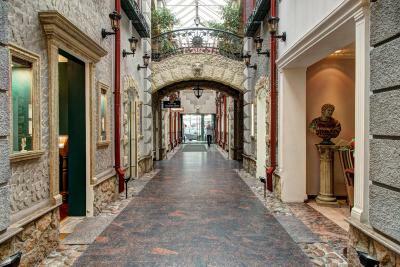 Nice hotel, very well located close to Nevsky Prospect. Friendly and hospitable staff. 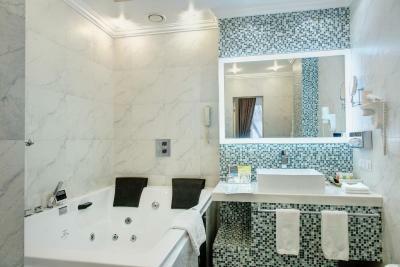 I booked a classic suite with nice forniture and decor, absolutely comfortable with great jacuzzi in the bathroom. Good and warm stay, surely advisable! The hotel where I definetely want to return. 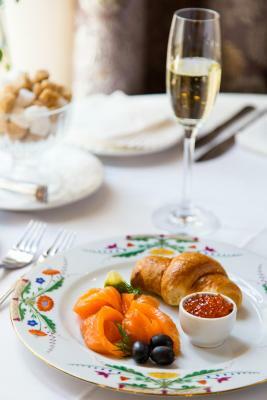 Excellent breakfast with red caviar and champagne! Nice, small, clean hotel with attentive staff. 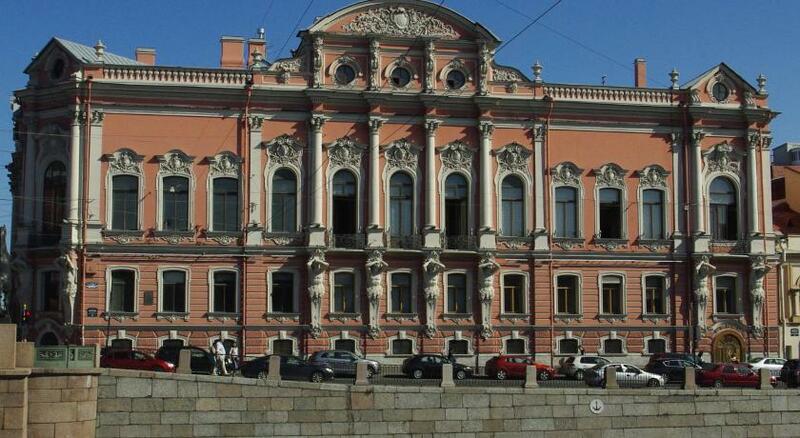 Location is good, in the middle of Nevsky avenue. 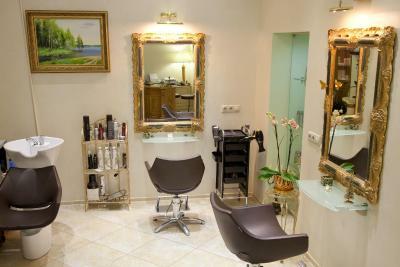 Author Boutique Hotel (ex Golden Garden Boutique Hotel) This rating is a reflection of how the property compares to the industry standard when it comes to price, facilities and services available. It's based on a self-evaluation by the property. Use this rating to help choose your stay! 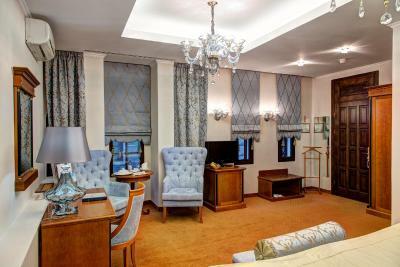 One of our top picks in Saint Petersburg.Author Boutique Hotel is located only a 2-minute walk of Nevsky Prospekt, 3 minutes from the Fontanka River and 5 minutes from the Vladimirsky Cathedral. 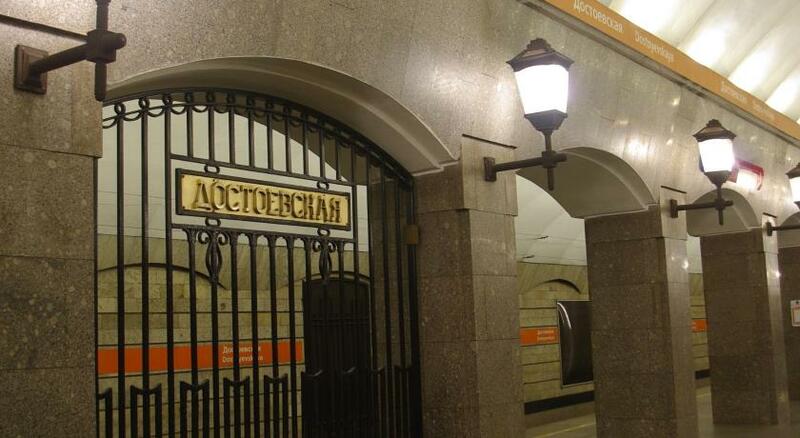 Dostoevskaya and Vladimirskaya Metro Stations are a 3-minute walk away. 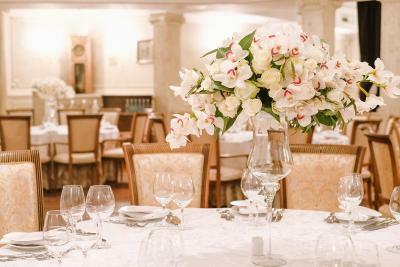 The hotel features stylish, well-appointed interiors, fitted with a mini-bar, flat-screen TV, a safety deposit box, a private bathroom and air conditioning. Free WiFi is provided in hotel rooms and common areas. 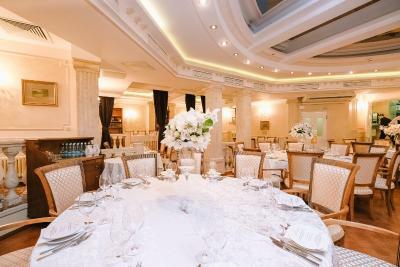 Enjoy Russian specialties at F.M. Dostoevsky. Food and drinks can be also delivered to the room. 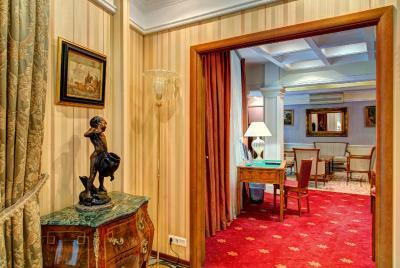 The property also provides concierge services.The Russian Museum and Kazan Cathedral are a 15-minute walk from Author Boutique Hotel. 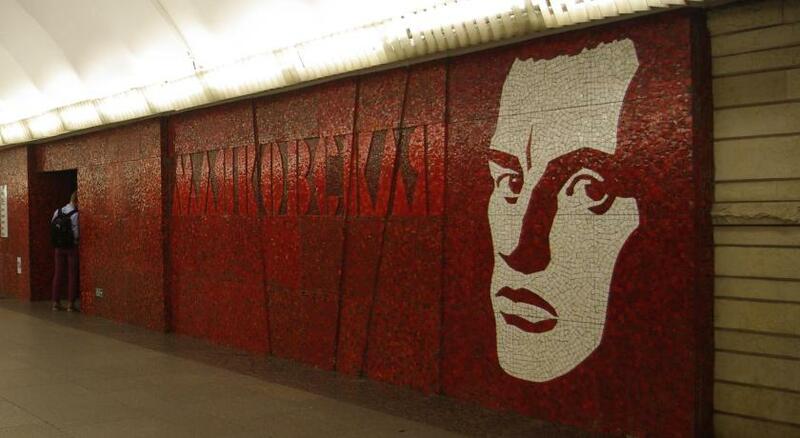 Moskovsky Train Station is a 15-minute walk away, and Pulkovo International Airport is 6.2 mi from the hotel. 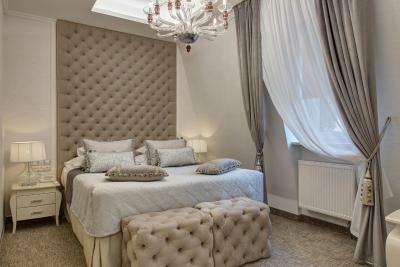 When would you like to stay at Author Boutique Hotel (ex Golden Garden Boutique Hotel)? 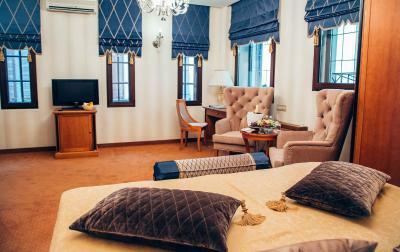 This room features a flat-screen TV, mini-bar, safety deposit box, air conditioning and private bathroom with a hairdryer, bathrobes and slippers. It includes a DVD player, seating area, free WiFi and daily newspapers. 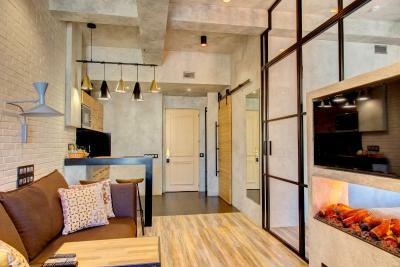 This single room features a mini-bar and a flat-screen TV. There are attic windows. 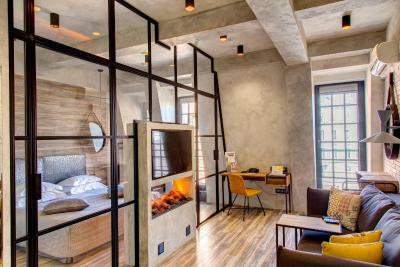 This junior suite features a mini-bar. The bathroom comes with a bathrobe. 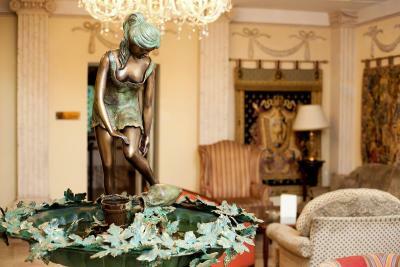 House Rules Author Boutique Hotel (ex Golden Garden Boutique Hotel) takes special requests – add in the next step! Any additional older children or adults are charged RUB 2100 per night for extra beds. Author Boutique Hotel (ex Golden Garden Boutique Hotel) accepts these cards and reserves the right to temporarily hold an amount prior to arrival. Please note that visa support for foreigners is provided free of charge. In case of cancellation, 1500 RUB will be charged. Please note when booking 4 rooms and more that different booking procedures and cancellation policies may apply. Please note that when booking at nonrefundable rate a credit card used for booking and payment must be presented at check-in. 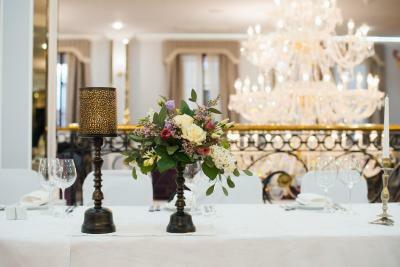 If booking for a third party, you should contact the property directly to arrange billing to guest. 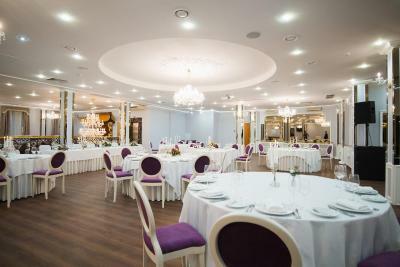 The property offers a 10% discount at the restaurant. Please note that for children 6 years and younger breakfast is available free of charge. 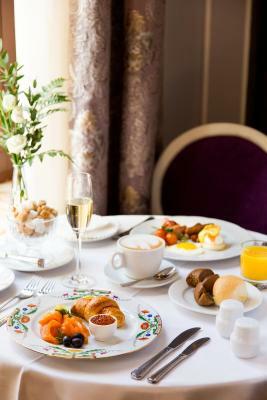 For children from 7 untill 12 years old breakfast is available at RUB 650 surcharge. It is not a controversy but only a suggestion..breakfast variety quite ok even if it can be improved and room breakfast should be wider. During noon time repair works were done, not sure if at hotel or at Neighborhood, but was quite noisy. Did not last long, something like 10-20 minutes. Well, usually rare visitors stay at hotel around noon, so thing owners of the hotel scheduled some repair works for this time. The rest was all good! 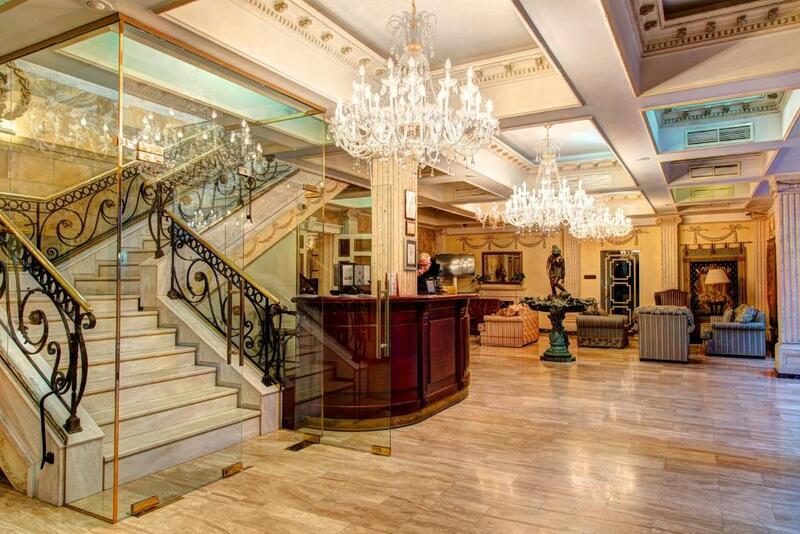 It is one of the best hotels in the world!! !